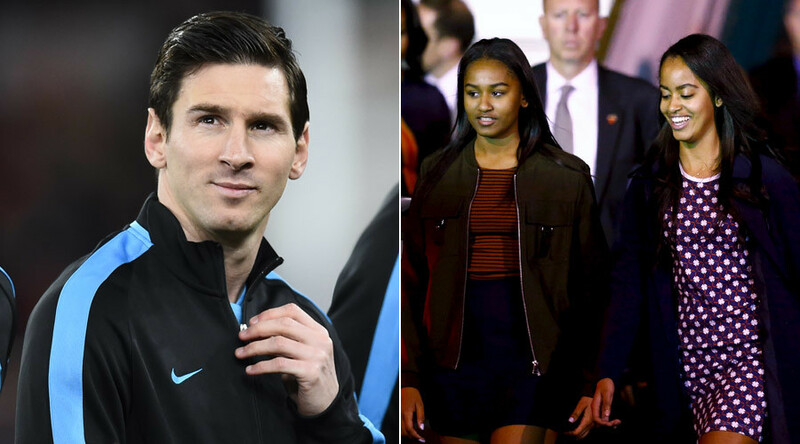 Lionel Messi’s appeal is certainly all-encompassing, with US President Barack Obama even admitting that his daughters, Malia and Sasha, want to meet the Barcelona star. The US politician is currently in Argentina after an historic visit to Cuba and pleased the masses by revealing his, and his family’s, admiration for the South American nation’s favorite son. "My daughters met Pope Francis," Obama said. "And now they want to meet Messi, but I still haven't been able to set it up." In 2011, Obama compared himself to Messi. "I see, a player like Barcelona's Lionel Messi and someone like me,” Obama said. Messi was named the world’s best player in January. The 29-year-old player has been in inspired form for Barcelona, helping the club win a momentous treble last season. Messi’s attacking trident alongside Neymar and Luis Suarez has been a revelation over the last 12 months and the Camp Nou side are currently in a dominant position both domestically and in European competition. The Argentine star has been criticized in his homeland for allegedly saving his best form for his club. However, Messi returned to Albiceleste colors and played the full 90 minutes as Argentina beat Chile 2-1 in Santiago last night in World Cup qualifying. The Barcelona star had a relatively quiet game, however, and unusually did not have a shot at goal. Lionel Messi failed to take a shot for the first time in 117 matches. Gerardo Martino’s men have had a slow start to the campaign with Messi missing, but the three points moves them into fourth temporarily. The win in Chile will serve as revenge after Argentina were beaten on penalties in the Copa America final by their South American neighbors last summer. Argentina and Messi will face Bolivia in Cordoba on Tuesday in their next qualifier.